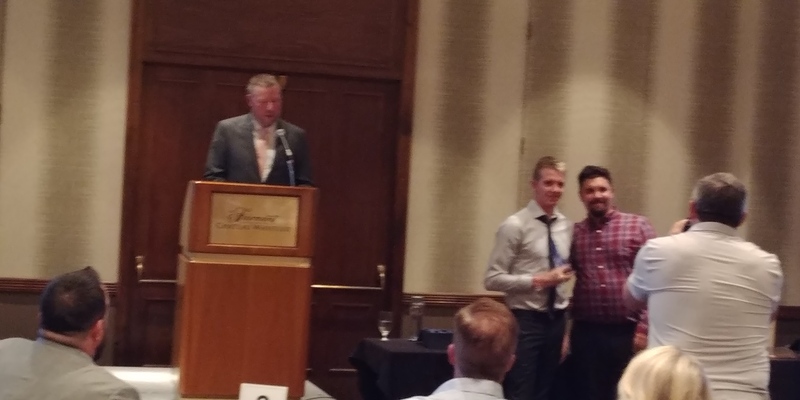 Eric Hedlin and Ron Jacks Win Big at 2018 BC Swimming Awards! Eric Hedlin won BC's Open Water Swimmer of the Year Award and coach Ron Jacks won BC's Open Water Coach of the Year Award for the 2017-18 season, as announced yesterday in Whistler at the BCSSA Conference. Eric was present to accept the award but Ron wasn't able to be there this year. Both Eric and Ron have won this award before, but it's always won against a lot of strong competition. Congratulations Eric, Ron, and the rest of the PCS Family!